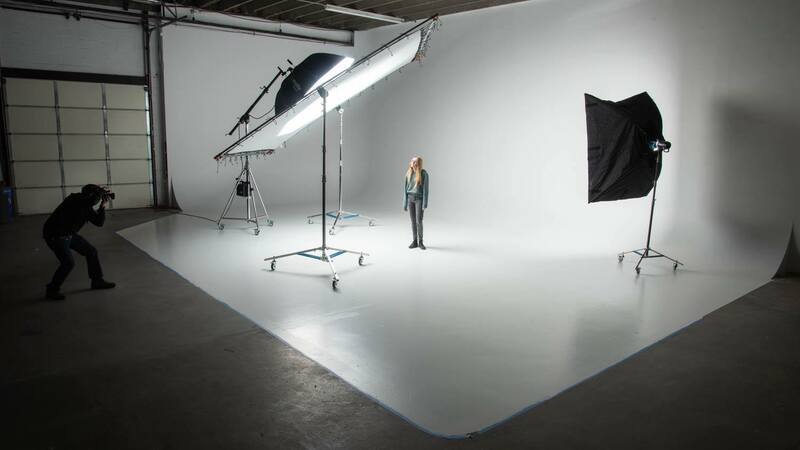 If your production is more demanding and requires a larger space our studio is for you. Measuring in at 58 x 58 feet and 16 feet to the grid, you are able to bring in large cranes, lights, and large subjects (cars, boats, etc.). Our studio is fully equipped with 400 amps per leg of 3 phase as well, so no light is too big for this studio. Pre-rigged with 11 Skypanel S60’s, 2 Arri L10’s, and 6 Image 85’s all wireless controlled from an iPad running Luminaire. For more information on this studio give us a call! 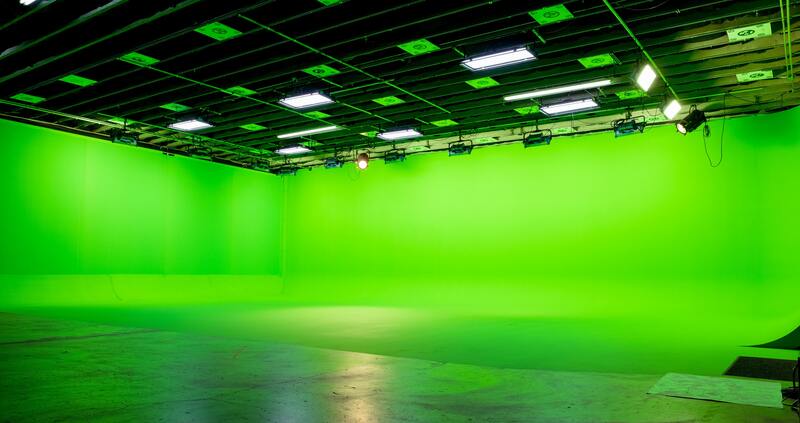 If your’e looking for a large photography stage with equipment rentals all in one house… this is the stage for you. With ample amount of power and space for small to large productions. Equipped with pre-rigged Skypanel S60’s for the backdrop you can make your studio what ever color you want with a touch of a button with the included wireless iPad and Luminaire application. Take your photo shoot to the next level. 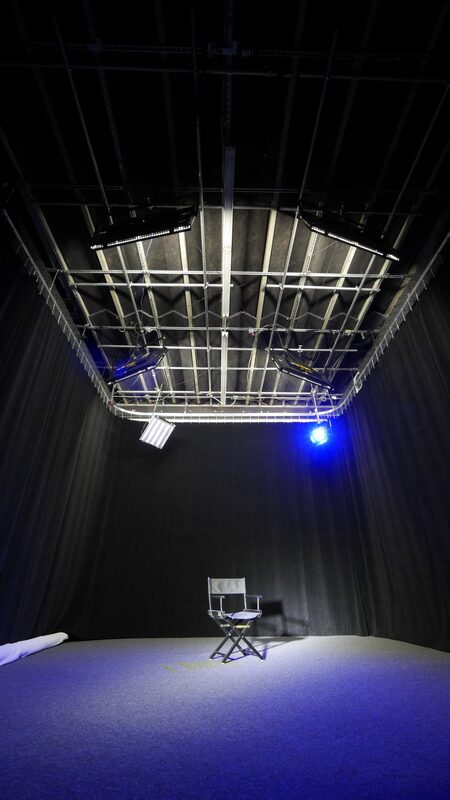 Our express stage is an incredible, sophisticated high tech insert studio. Its fully equipped with today’s latest lighting tools. Equipped with 2 Arri Skypanels that are fully operational wirelessly from the studios iPad. Change the color, and output with a swipe of your finger. We then have an Arri L7 and Skypanel S60 as a rim light that can also be completely controlled from the iPad. On the stages floor there is also another fully controllable LED light the Nila Boxer that is used as your key light for your talent. This stage was built for quick productions. Its simple bring your crew, camera, and talent, we got the rest covered. To learn more about the express stage give us a call!